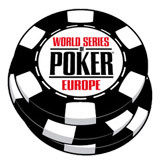 2015 WSOP satellites are now available on 888 Poker, players can win a prize package to this years World Series of Poker. The package includes accommodation, travel and buy-in to the Main Event and WSOP Online Bracelet tournament. Satellites start from a ridiculously low buy-in of only 1¢, play your way through the six step tournaments to get a seat to the weekly WSOP 2015 Qualifier. Players can also win their prize package for free through the daily Freebuy to the WSOP Las Vegas - Sub Qualifier tournaments. 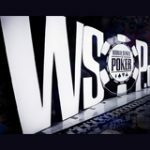 There are six step tournaments which lead to the weekly WSOP Las Vegas 2015 Qualifier tournament where there is at least one prize package worth $14,000 to be won. 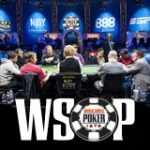 The 2015 WSOP satellites are running until 21st June giving players enough time to qualify for the World Series of Poker online. Play the 2015 WSOP satellites. 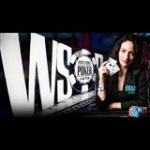 Players can also win a prize package for free in the Freebuy to the WSOP Las Vegas available to all players who have made at least one deposit at 888poker. Or buy-in directly to the weekly qualifier to play for your prize package. Prize: 2015 WSOP Prize Package worth $14,000. Accommodation for 7 nights at the Palazzo Hotel, Las Vegas. Prize package winners will have their WSOP buy-ins and accommodation booked by the organizer. 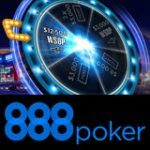 Players that run deep in the Main Event with have their accommodation extend courtesy of 888poker. $1,500 will be paid directly into the winners account for travel which must be arranged by the winner including any travel documents and visas required to travel in Las Vegas. 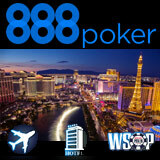 Players must agree to wear branded 888poker merchandise when seated at the poker tables. Winners must be of legal age to play at the Rio Casino in Las Vegas which is 21 years old.